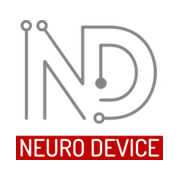 Neuro Device has been gaining experience since 2004. Initially we cooperated within a group of full of passion scientists and clinicians. We investigated functioning of the nervous system, developed methods for diagnose and built tools (hardware and software). In 2008 we established Neuro Device and step by step strengthened our expertise. We've build devices for functional magnetic resonance imaging (fMRI) and we've developed stimulation equipment for the peripheral nervous system. Now we have made a next big step – we finished a central nervous system stimulator and we are ready for invasive stimulation within neuroprothesis and senses’ augmentation. We innovate new technologies for medicine, developed by engineers, mechatronics, programmers and neuroscientists. Our second business is based on designing, building and equipping laboratories. We're exclusive distributor of eye tracking and medical devices of the world’s best manufacturers. This line helps us to be in touch with neuroscience and everyday use of its methods and tools. Our core values are growth of our team, cooperation with key scientists and creating for the future neuroscience. Associating our experience in many fields allows us to recognize and understand our clients' needs, that’s why we are always one step ahead. Our products are installed on Universities around the world. Some of them serve medicine. As an interdisciplinary team we design and prototype based on ideas of external customers as well.